We at Rum Bar pride ourselves in introducing people into the world of Rum, but above all finding the right Rum for the right drink for the right person! We assure people that there is Rum for everyone and for every occasion. To say you don't like Rum is to say you don't like music! Rum Bar also boasts an admirable collection of over 560 Rums, including some very rare examples. So from the Rum rookie to the seasoned enthusiast we have a marvellous palette from which to paint your evening. Rum Bar has a solid foundation in classic cocktails, but also prides itself in tailoring to personal tastes, both in cocktails and straight up. 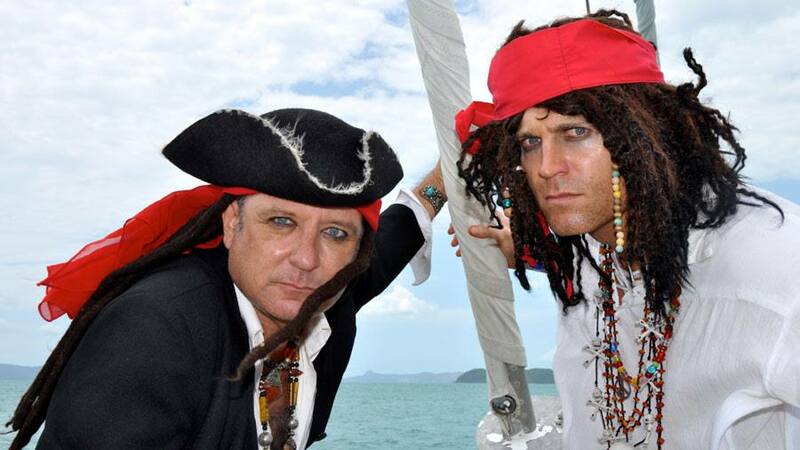 We often organise Rum journeys around the tropics, with some tall tales and truths of the high seas for good measure! With our in house Rum tasting sessions, Rum quizzes, international guest speakers such as Master distillers and global Rum ambassadors, Significant Rum Day events, boat launches, distillery visits, cocktail parties, street parades, food and drink festivals, charity events, outside catering, weddings on yachts, cocktail competitions, television appearances and more we are always up to something. Does size matter? A large Rum collection is indeed impressive, a talking point and deliciously useful. However any idiot can collect 560 Rums, even in these remote parts of the Coral Sea. Without an acute understanding of the flavours and how they relate; how each one is made; where it comes from; the fantastic history of this monumental, exciting, rebellious, world changing spirit, and a above all the cheeky fun; renders it useless. So grab a pew and of course a Rum in the Rum Bar and see what you think. We're located inside the award winning Fish D'vine seafood restaurant in central Airlie Beach, where you can indulge in the region’s finest seasonal produce and a mouth-watering array of succulent seafood prepared fresh every day. The Rum journeys are just that, a journey, you never know where you end up! Here are some ideas to wet your whistle and give you and Idea of what we can offer you. These are just suggestions. We are flexible so get in touch an we can create your very own itinerary, depending on what your travel needs are! Rum Journeys must be booked in advance with a minimum of four people starting at $40 pp. Ask us for more info on each of our journeys hosted by myself, Dr Rum or one of my trusted proteges. The size of the group and levels of interest, and understanding really determined the road the journey takes. This is normally worked out within a few minutes of meeting the passengers with a casual chat and a few questions. Flexibility is key to getting the most out of the experience for the passengers. Having said that, some models have been tried and tested and give an idea to how we can roll. This well-established Trinidad and Tobago rum House produces some of our favourite rum. John Georges, the Master distiller has graced us with his presence, and is a top bloke. Joy Spence, the master behind this Jamaican Rum is a true hero of her time, enjoy this icon with your favourite mixer, and of course by itself. From Haiti, this French style rum offers more subtle characters than others. We often have older ones on offer so please ask us. The pioneers of modern rum, Bacardi and Carta Blanca fuelled many swinging Cuban parties back in the days of prohibition and beyond. Fun fact: they won the same medal for their rum as Edison did for the light bulb at the world fair! Certainly an icon in oz, these rums are very different to most other global rums. You will find some very passionate collectors and fans. The basic version of this rum you will find in any pub or bar in Australia. Brinley, based in the island of St Kitts, in the West Indies, flavoured rum in the style of liqueur production. The Shipwrecked is a belter, the base rum is 4 year Eldorado and, to all you Sailor Jerry, spiced gold and sweet spiced fans...get into it! For all you Essex Belles, the coconut lubricates the stilettos even more than Malibu, its higher percentage. Purists will argue this sugar cane spirit from Brazil is not a Rum, however it’s very close! We do suggest you ask us about how it works in a very traditional Brazilian cocktail and put some carnival in your mouth! Named after the pirate who became employed by the British Royal Navy and eventually ran Jamaica. Produced in St. Vincent, West Indies. Authentic Caribbean Rum, Aged 8 to 12 years, unpolluted by additives. Authentic Caribbean Rum from St. Lucia, West Indies. Good honest drop. From the French colony of Martinique, Clement produce a fine range of Rhum Agricole, made from sugar cane juice, and a slightly unusual distillation. From the USA part of the Virgin Islands these, very ‘Modern’ style rums. Oliver and Oliver, originally Cuban set up production in the Dominican Republic and blend Cubaney. La Rumba imports in Australia is owned by a long time Airlie beach local and very good geezer, Justin Boseley. This sweet rum from Venezuela is liqueur like in it's stickiness. Exceptional range of Authentic Barbados Rum from the amazing Foursquare distillery. This no additive purist Rum screams integrity as well as quality. Richard Seale is widely regarded as the leading voice in the movement to celebrate honesty in Rum. Named after the ancient ‘city of gold’, El Dorado have the Midas touch, everything they do is gold. Produced in British Guyana on the east banks of the Demerara river with a huge range of stills enables them not only to produce diverse rum but make base rums for other companies. We often have some rare blends and single barrel on offer so ask at the bar. Great rums from Antigua, in the West Indies. Part of the Authentic Caribbean Rum Movement. We sometimes have the 25y, 1981 which is very special and very rare, thus expensive. Good solid range of rum from Nicaragua. The 7 is a nice all rounder. This limited release is also the work of Richard Seale and despite the name has a dry tannin finish, as well it should. Classic Cuban Rums. Produced in Cuba. 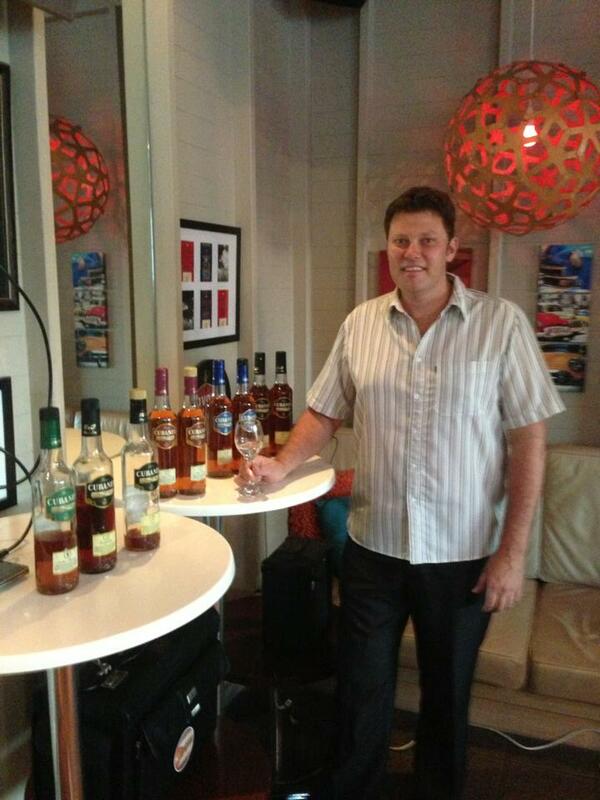 Spike and the gang in Kununurra do a great job in producing some quality, yet distinctively Aussie rums. The OP is really cool. Inner Circle has a history with CSR sugar directors, but due to its historic flavour base has become popular with classic cocktail enthusiasts. The black label is also useful when you run out of petrol. A navy classic that haunts every back bar in the United Kingdom. A very popular range of rum from the Dominican Republic. It used to be made in Cuba in the days when Hemmingway and the like used it as a playground. Try it as a Cuba libré, if you like a rum ‘n’ coke, with a slice of fresh lime. Made in Barbados these guys know their rum. They claim to have the oldest recorded site of rum distillation, I have no reason to doubt that but, the fact is, it doesn’t matter. Spanish style from the Dominican Republic. We sometimes have the 25 year too. Versatile and diverse range of Rums, from the interesting and slightly volatile country, Venezuela. Too much to tell, the rum that created an empire? Without the daily tots of rum, what would have life aboard ships been like? Stopped in 1970 as it “had no place in the modern Navy”... or so they say! These chaps from Anguilla have made an effort to make some unique, almost-orange* like rum. *No orange they assure us. My good friend, Curt York, convinced these guys to start making this Rhum again... I think that it’s smart! We carry other of their Rhums from la Reunion. Another fine dry, honest Rum by Richard Seale of Foursquare in Barbados. This one bears the family name. Aged above the clouds... (Just one of the fairy tales that is Zacapa). A very secret potion… We often have other house made rum liqueurs and spiced rums on the go, ask us. Originating in a tattoo parlour in the middle of the Pacific, it has become one of the best-selling rums in the UK...why? Produced in St. Vincent, West Indies. Captain Bligh XO’s younger brother. Aged 7 years. With a hint of Guyanese molasses. From the Seychelles, these friendly rum makers… Tacamaka Bay, as fun to drink as it is to say! Gosling’s black seal Rum, ginger beer and lime juice…off to Bermuda! Mango, coconut rum, peach schnapps, blue curacao, white rum…that old chestnut!! Muddled lime, sugar, cachaça on crushed ice…go Brazilian!! Rum Bar’s own Tiki punch on Caribbean rum, in a Tiki. Then Fireworks! Night of the living dead. Those Zombies kept coming!!! Rum pondering with John Georges, master distiller, Angostura rums, Trinidad. She'll be apples! With island2island Beverages. Arguably the Rum Capital of the World. Most Rum, no matter what its origins has at some stage reached the UK, whether in massive quantities into the docks for domestic consumption, transit in a trade deal or smuggled in the dead of night. More recently another factor has come into play, London’s cultural representation. Every Rum producing nation has its nationals living in the Capital, who in turn demand their Rum. This means that almost all Rum can be obtained in London. So London’s Rum bars come highly recommended, indeed I asked our friends at El Dorado Rum for some up to date advice. Then did what I had to do, went on a Rum Bar crawl. I drank from the cup of Rum at “Trailer Happiness”, sampled the Caribbean delights and reggae at the World ambassador for Rum’s springboard “Cotton” among others. They were excellent, had a good range, and were informative and above all fun. However then the penny dropped. To all of you that have come to Airlie and drunk outside the square, tried something new, thank you! To all you dedicated Mojito drinkers and El Dorado sippers, thank you! It’s because of ALL of you, and all the passionate Bartenders that we have a World Class Rum Bar in Queensland. At least as good, as any in London. That boys and girls is a Rum Fact! In Australia this is a term for most kinds of alcohol, from Goon to Grand Cru. The term Grog has its roots in the Royal Navy. Prior to 1740 Pussers Navy Rum was served neat, twice a day, half a pint, as a Rum Ration. Some say more men were being lost to drunken shipboard accidents than the conflicts of the time. Hence Admiral Vernon, Commander-in-Chief West Indies, decided to dilute the rum with water, lime and sugar to “reduce drunkenness” and also “make it more palatable”. The men had previously named him “Old Grog” because of the grogham cloak he wore, but furious he had diluted the rum they shunned it as “Grog”. Unpopular as it was it did reduce significantly falling overboard and by complete accident reduced Scurvy. The Royal navy Rum ration lasted from 1640 to July 31st 1970 or “Black Tot Day”. The Admiralty claimed that in an increasingly mechanized world that the issue of Rum “has no place in a modern Navy”. Others claim the practice of saving up ones ration and going bonkers on your birthday was to blame. Although rumour has it was an unfortunate incident on a nuclear submarine. When Sir Frances Drake was not distracted by such trivial matters like waging attacks on the Spanish Main and being the first mariner to circumnavigate the globe, he was actually doing something far more useful. Drake, or as the Spanish dubbed him at the time, “El Draque” meaning “The Dragon”, invented the world’s first cocktail. Drake, in between pillaging places such as Panama (who still discipline their children with the fear of “El Draque”) used to take his holidays in Cuba. There, in the 1570s, he found the fermented sugar cane liquor, Aquardiente de cana, the father of rum. This was a bit on the rough side, so Drake added limes, mint and sugar and creates a drink soon to be known as the El Draque. This tradition continued in Cuba, and the advent of distillation and rum, called for a softer, more refined name “Draquecito”, little dragon. Later still this became “Mojito” from the word mojo, mild spell. The Mojito has certainly cast its spell on the bars of the world! 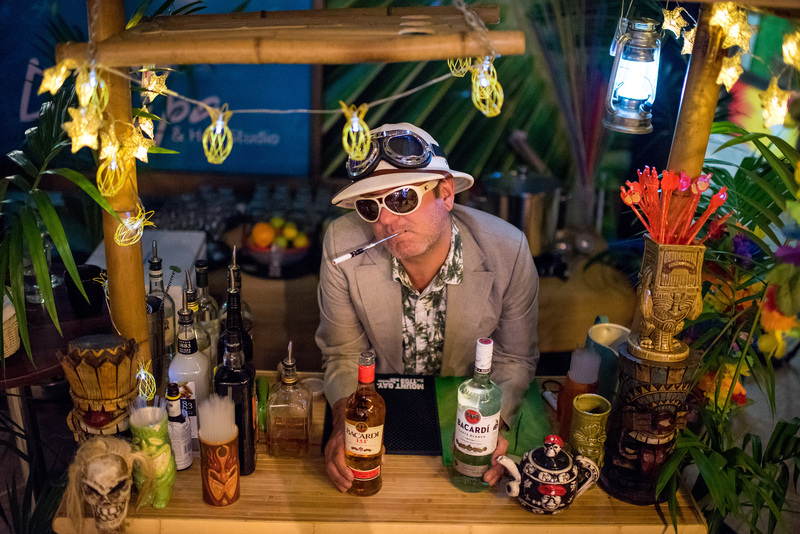 From bars like La Bodeguita to Sloppy Joes in the Cuban Swinging 1920s to a massive worldwide comeback in the 1990s the Mojito is here to stay. Thank you for contacting the Rum Bar our reservations team will be in contact as soon as possible!